Hi my name is Lisa and I am Director and Podiatrist of Podiatry Point! Podiatry Point started in 2001 when I purchased, the business then known as Nerylie Whitecross Podiatry, from Nerylie and changed the name to Podiatry Point. 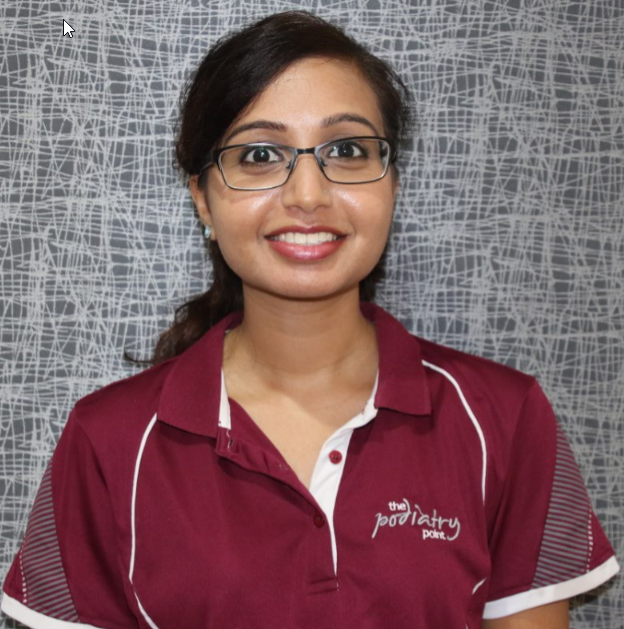 My passion began at University whilst studying a Bachelor Applied Science, Podiatry and continues each and everyday with providing my clients with the care they need. This means that if I realise there is a gap I my knowledge I am keen to fill it as quickly as possible. I love to travel and prefer places that are off the beaten track. When travelling I like to challenge myself by doing a trek or bike ride. These challenges keep me motivated and provide a great sense of achievement. When I’m not at the Podiatry Point you’ll find me outside cycling, running or hiking through the bush. I must admit I love a good coffee and you might find me catching up with friends over a cappuccino. One of my greatest pleasures at the moment is being able to introduce our love of adventure with my children; and at the moment they still think my ideas are pretty cool! My mission in life is to help people to realise their dreams. There is nothing more satisfying than helping someone achieve something they didn’t think was possible, whether that is trekking a mountain on holidays, running a race, riding a bike hundreds of kilometres or simply going to the shops without their feet and legs slowing them down. Hi, I’m Katie Sylvester and I’m the Practice Manager and a Podiatrist at Podiatry Point. I joined the Podiatry Point team in 2014 after working in aged care in Perth. Originally from the UK, I spent six years working for the NHS helping to improve the health outcomes for people in England. During this time, I was fortunate to be involved in establishing consultant led clinics for wound care. This was an amazing professional and personal experience and I reflect on my involvement daily. I enjoy all aspects of Podiatry and consider myself to be a well-rounded Podiatrist. Listening to and understanding my patients is a very important part of what I do. Through this, I am able to identify opportunities where I can help make a difference in their life and inject positive energy into their day! I love being a Podiatrist and strive for happy and healthy patients. When I am not at Podiatry Point, I am either planning my next adventure or travelling! I certainly have the travel bug and can usually be found enjoying a short weekend escape or an adventurous six-week tour of Thailand. I am very grateful to be living in Australia and to have the opportunity to explore this big, beautiful country. Aside from travel, I enjoy a hit of tennis – although my serve isn’t Serena Williams quality! Practice makes perfect, right? At Podiatry Point, I constantly work towards making each one of my patients feel relaxed, safe and understood. An avid fan of health and education, I firmly believe prevention is better than cure! 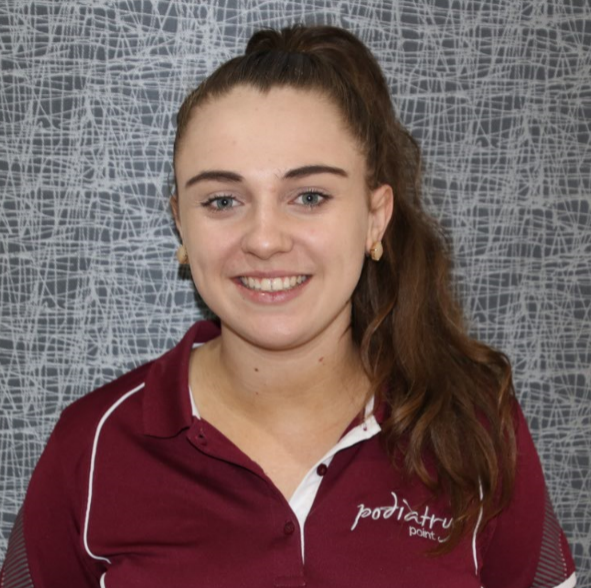 Hi, I’m Grace Attenborough, Podiatrist at Podiatry Point Toowoomba. 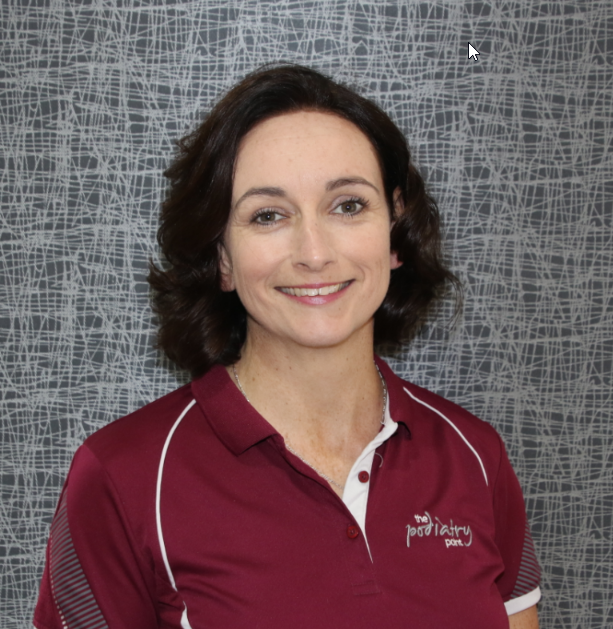 Prior to joining the Podiatry Point team, I completed a Bachelor of Health Science (Podiatry) in Brisbane and have over 7 years experience fitting footwear across The Athlete’s Foot and a specialised children’s podiatry clinic. I have always been drawn to working with children as I love the energy and imagination that they bring into a consult. I love to meet the challenges that their young minds bring and fulfil their potential through function and application of podiatric knowledge. I also have a particular interest in sports medicine from a podiatry perspective, understanding the function of the lower limb and applying this through diagnosis and management. I love being a Podiatrist as I want to improve the quality of life of all my patients. I find this the most rewarding part of my job and why I enjoy being part of a team who is like minded. When I am not at Podiatry Point, you will most likely find me on the Gold Coast visiting my family, planning my next adventure or sitting down at a local café enjoying a good coffee. I am also an avid netball and touch player and like to hit up the local competitions that Toowoomba has to offer. My aim, at Podiatry Point is to provide the best care to my patients as I can. This includes broadening my knowledge and actively participating in courses that expand on my practical skills. I love learning new things and being able to apply this for my patients so they get the best outcome possible. 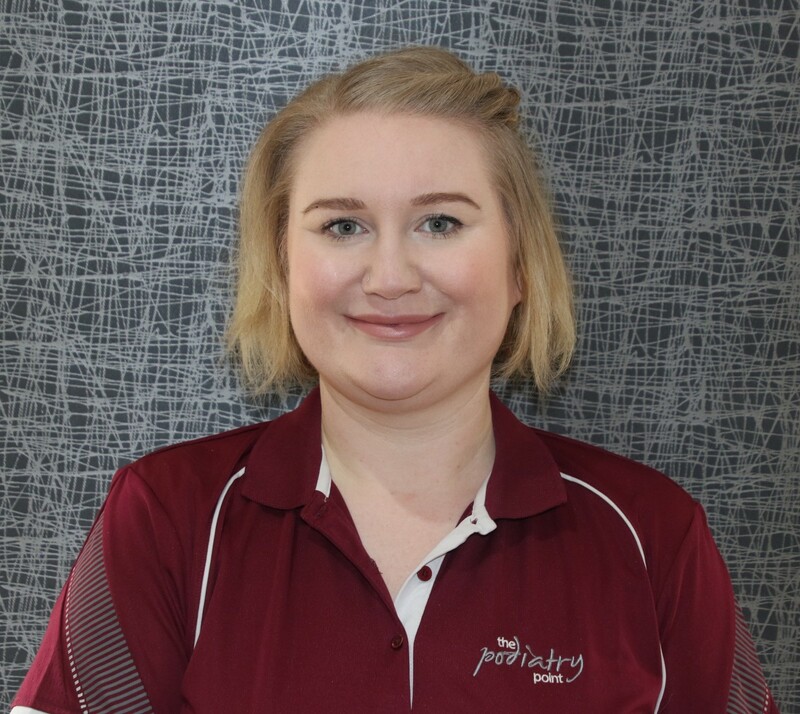 Hi I’m Tash, Podiatrist at the Podiatry Point Toowoomba. I arrived in 2014, from Singapore, to do a graduate-entry program in Podiatry at QUT. Prior to that, I had completed a degree in Biomedical Science and was working in the research field back home. I have always aspired to be a health professional and Podiatry was a decision I am glad I made. A seriously comical person, most of my time is spent catching up with friends over a good cuppa and contagious accents. On weekends, you’ll find me in the gym or running in the park. I am hoping to train for a marathon in the near future. I have a deep passion for acquiring knowledge and am an avid reader. I have also travelled quite a fare bit around the world and am looking to add more countries to my non-exhaustive list. Having learnt to play a couple of musical instruments, my next plan is to get back to strumming my guitar. At Podiatry Point, I aspire to be the best in every aspect of Podiatry. At present, I have developed a special interest in Sports injuries and Pediatrics. My belief is to provide my best to every individual patient in the form of latest knowledge, experience and treatment. Fun bit: Just became a new aunt and am deeply excited by this promotion!